HMRC comments which appear to permit the blanket assessment of contractors for IR35 status by hiring organisations under the Off-Payroll rules are legally flawed. The comments, published in the minutes from the 21 November 2018 IR35 Forum meeting, argue that in instances where identical contractual conditions apply, an end client isn’t obligated to assess each contractor individually. What’s HMRC’s stance on blanket assessments? Addressing the issue of blanket assessments within the IR35 Forum minutes, HMRC condemns its adoption in instances where ‘an engager decides that all roles and workers are inside the Off-Payroll rules’. “The peculiar thing is that HMRC goes from reminding public authorities of their obligation to consider the ‘actual working practices’ of an engagement to completely disregarding this moments later when appearing to authorise the latter form of blanket assessment,” comments Valentine. The obligation to consider the working arrangement as a whole is set out in section 61M(1)(d) of Chapter 10 of the Income Tax (Earnings and Pensions) Act 2003, which requires an examination of the ‘circumstances’ of an engagement. 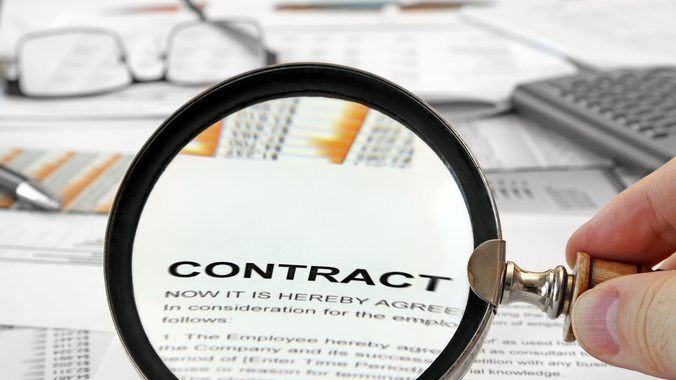 Section 61M(3) notes that the terms of the contracts simply form ‘part of the arrangement under which the services are provided’. The significance of hiring organisations is that, by the letter of the law, adopting the non-compliant approach sanctioned by HMRC will leave them vulnerable to tax liability. It also creates great inconvenience for recruiters and contractors, who risk becoming victims of false-employment. Chapter 10 isn’t the only place where role-based blanket assessments fall foul. Precedents set in numerous employment status tribunal cases have reinforced the necessity of examining the bigger picture. More recently, in RS Dhillon & GP Dhillon Partnership v HMRC (2017), Judge Zachary Citron noted: “The courts have warned against a mechanistic approach to these tests. Each case must be decided on its own facts. The hirer-hiree relationship must be examined in detail in each case. “The factual matrix may mean that some of the indicia mentioned are very important or even determinative of the nature of the relationship. In other cases, the same indicia will be of little help in determining whether the relationship is that of employment or self-employment”. Recent legal action taken after HMRC appeared to incite the blanket assessment of locum workers within the NHS has also reinforced the unlawfulness of the approach. During an IR35 webinar delivered to NHS Trusts by HMRC and NHS Improvement (NHSI), HMRC stated that they expected all healthcare contractors, apart from GPs, to fall within the Off-Payroll rules, and taking a blanket role-based approach was acceptable. Another point of contention for Valentine is HMRC’s insinuation that contractors fill ‘roles’. Though it may appear an innocuous misinterpretation, if hiring organisations follow the taxman’s lead, the implications for all involved could be of great significance. “By definition, an individual undertaking a role cannot operate outside of IR35, or Off-payroll, and would be considered an employee in any case,” explains Valentine. “In this scenario, the engagement wouldn’t even be considered within the scope of IR35, which requires that the status of the client be that of a customer of the individual and not a temporary employer. The difference between a contract and a role will be lost on most hirers. However, treating a contract like a role invites HMRC to infer that mutuality of obligation (MOO) and a significant degree of control are present, leaving the status assessment vulnerable to a challenge from the taxman. “There is a case to be made that HMRC is encouraging non-compliance surreptitiously by setting up public authorities to fail through providing inaccurate advice regarding assessments,” concludes Valentine.